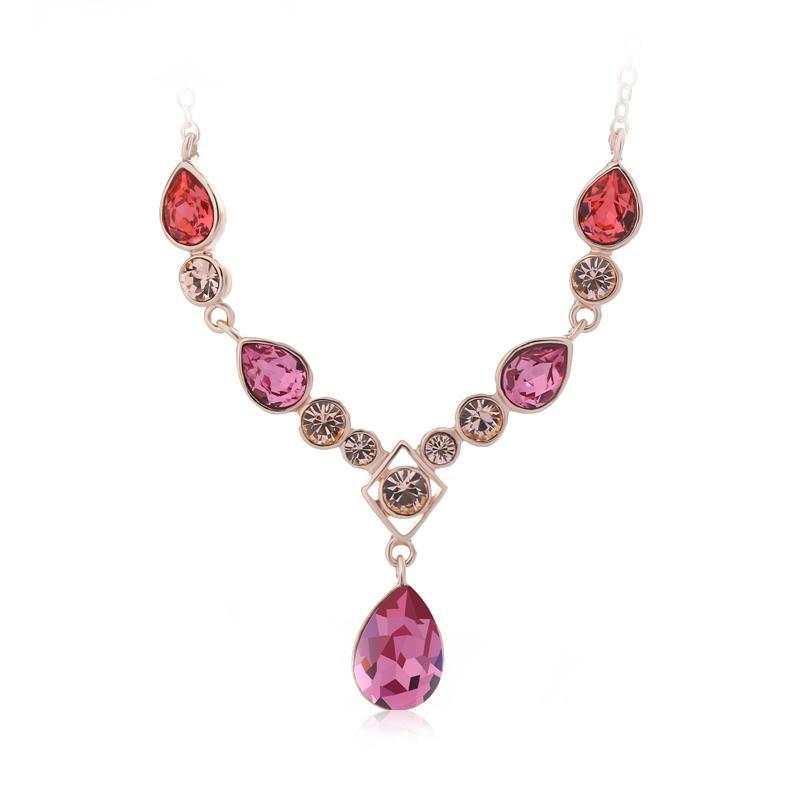 Elegant necklace that you will undoubtedly want to have in your collection. It is elaborated with 18k rose gold plated and beautiful Swarovski crystals of different color and size; Together they create a huge and sinless sheen. When you put it on you will not want to take it off. Measurements: 43+5cm, 1.1*0.7cm.